I read a lot of questions about the new DJI Mavic Pro on the social networks and decided to post a FAQ & Answers article. 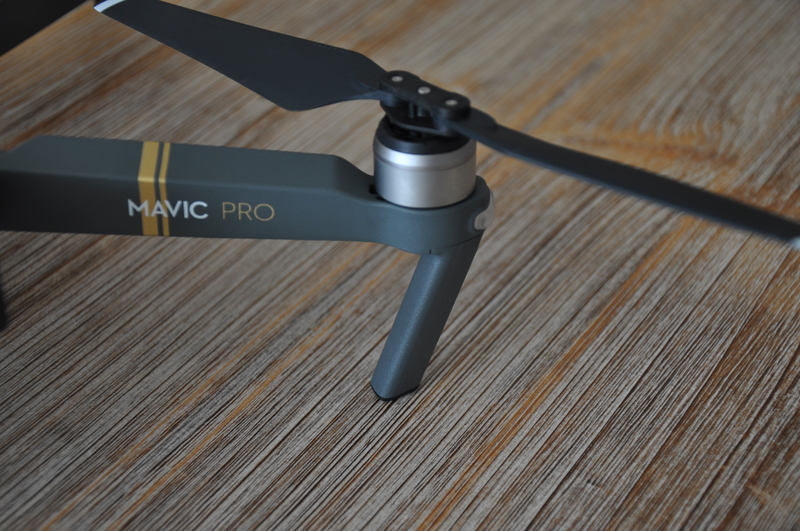 For more specification, pictures and camera samples shots read the complete review of the Mavic Pro. No. There is no built in microphone. I can´t actually remember about a drone that has a microphone. The Mavic Pro, remote controller, charger, all the accessories in the “normal” package plus a car charger, a battery to power bank adapter, a shoulder bag, a battery charging hub, 2 x additional batteries and 2 additional propeller pairs. Is the DJI Mavic Pro better than the Phantom 4? The best way to find out which drone is better for you is first to figure out what are you going to do with it. If you plan to do some sort of business with aerial photos or videos, then the Phantom 4 will be your first choice. If you want to fly and shoot pictures and 4k videos for recreational use, take a dronie when you are with friends the Mavic Pro will better fit your needs. It is portable, light and in terms of sensors and flight capabilities a bit better than the Phantom 4. How sturdy are the arms and do they snap into place? Any wobble? How do you think the arms will hold up in a crash? The arms look and feel very solid. They snap perfect into place and there is no wobble at all. I think if you crash the arms will fold. This should save these from breaking. According to DJI, the folding mechanism should last at least 5000 folds. Can you buy extra batteries and how much would they cost? Yes, you can buy extra batteries. The Mavic Pro LiPo cost 89$. Can you recharge the DJI Mavic in the field. Is it also good for low temperatures? As long as you have power socket in the field or car and car charger, you can. Operation temperature is between 0° to 40° C.
Is there any difference (transmitting power/frequency) between the EU and US versions of the Mavic Pro? No, there isn´t any difference. But the unit will automatically reduce the transmitting power while operated in Europe, because of local regulations. Can I assume that I will not need to use a SIM card in the phone for the DJI Go app? Yes, you don´t need connection to the service provider once you have the DJI Go app installed on your phone. 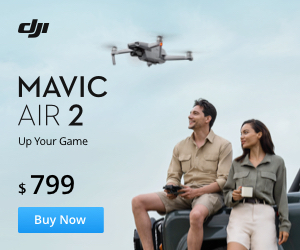 Is the Samsung Galaxy S7 compatible with the DJI Mavic Pro? Yes, every smartphone that support the DJI Go App is compatible with the Mavic Pro. Note: some Samsung models have problems with the DJI Go App at the moment. Is there a standard Mavic or is it just the Mavic Pro? There is just the Mavic Pro. Is 4″ screen too small for drone control? A phone with 4″ display will be ok. However using bigger screen, like 4.7″ or more will make operating the unit and capturing the right shot much easier. Can you tell me which iPhones will work with the Mavic Pro? All generation iPhones after iPhone 5s, including the new iPhone 7 and iPhone 7 Plus. Does anyone know if there will be a controller with an Android connection? MicroUSB or USB C? You can change the cable of the remote controller for an Android device. It is a USB C and already included in the box. Could you connect Google Cardboard, Oculus or a FatShark goggle to the Mavic Pro? No, you can only use the DJI Goggles. Im reading a lot of things about the focus on the Mavic. Do we need to keep adjusting the focus during the flight? You need to tap on the screen to focus only once after you restart the drone. Is it possible that the Mavic Pro loose signal because of long distance and then fly away? The maximum operating distance of the Mavic Pro is 7km. Going further will cause of course lost signal. Then the Mavic Pro will return to the home point. Any idea how long the Mavic Pro battery takes to recharge? If discharged to about 10-15% it takes about an hour to recharge. Anyone knows if the Mavic Pro will need compass calibration just like the Phantom Series drones? Yes, it will. Every drone that have an compass on board will need a calibration when used on a completely different geographical place. Mavic Pro only or Mavic Pro Combo? Any thoughts on this? If you need the car charger, the shoulder bag and two more batteries, go for the combo. Does someone know if the terrain follow mode also works for going downhill? No, only works up hill. Anyone knows the still capture capabilities of the Mavic Pro? Will it do raw stills and at how many mega pixels? The Mavic Pro can shoot 12MP photos. Yes, it can do RAW photos in Adobe DNG. If you have some more questions, leave me a comment. To get more drone news and reviews follow me on Facebook.